This traveling game show has it all: sound effects, pinwheels, pumps, gizmos, and gifts along with an energetic game show host. It’s a little slice of television right at your very own party. 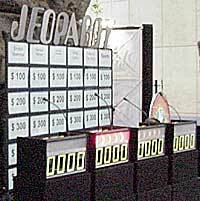 “Trivia Game Show”, “Name That Tune”, and “Brain Teasers” are just a few of the games you can entertain your guests with.